Another Wednesday, another wave of excellent new comics! Every addition of new comic book day is worth looking forward to, but there really is a lot to get excited about this week. 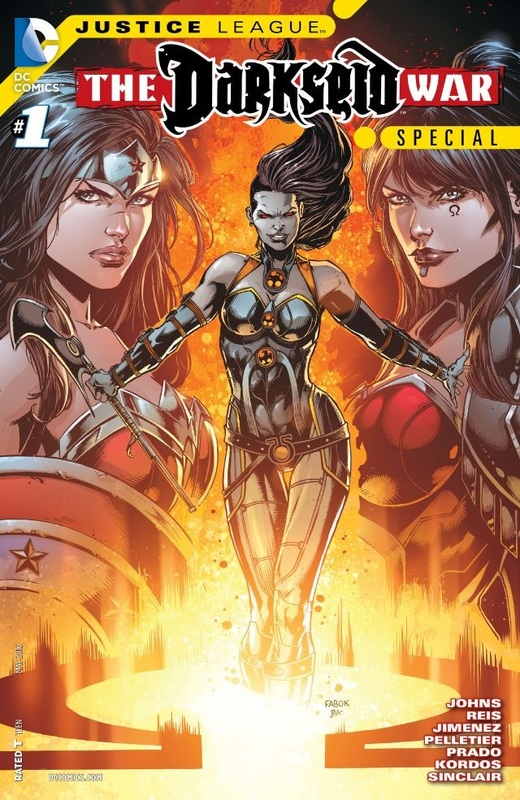 Marvel’s dropping Old Man Logan #4, Vertigo’s releasing Sheriff of Babylon #5, and, of course, DC has given the world the Wonder Woman: Earth One graphic novel. There are plenty of comics that are more than worthy of your time (see above for the full list), but there are also five #1 issues that we really enjoyed, so we want to make sure they’re on your radar. So, we’re about to briefly explain why you should give these new comics a chance. If the title sounds like a good time to you, go give it a shot. If not, maybe the next one will win you over! Either way, we hope you enjoy reading at least one comic this week! 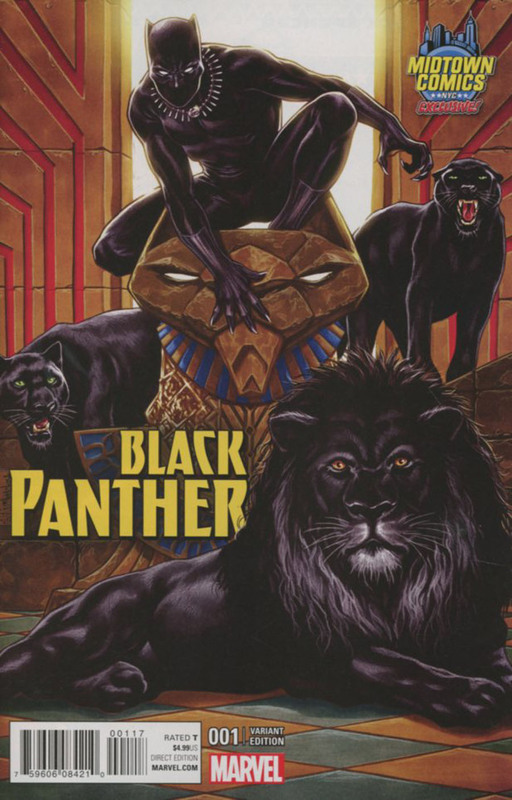 It’s time for Ta-Nehisi Coates and Brian Stelfreeze to reintroduce the world to one of Marvel’s most badass heroes: T’Challa, a.k.a. Black Panther! Black Panther’s homeland, Wakanda, is the most technologically advanced nation on Marvel’s Earth, and this new series is pulling you right into the fictional nation. This debut issue offers an insightful look into Black Panther’s society. It’s full of surreal technology (with interesting new designs), but it offers a humanizing approach to the lead characters, and reveals that, while the nation may have jaw-dropping technology, many of Wakanda’s people aren’t happy with the way things are being run. There are no blatant evildoers here (or so it seems, that is), and the book instead offers a solid look at how people are reacting to the current state of their society. It’s a smart script complemented by some great looking pages. It’s also completely new reader friendly! Everything you need to know is right there in the intro, so there’s no need to worry if you’re not familiar with the iconic hero. DC’s Darkseid War has been an exciting and explosive event, but for this special issue, we’re treated to a character-driven story that mostly focuses on Darkseid’s daughter, Grail. What truly motivates this new character? This chapter aims to give you a strong emotional connection to her tale and a proper look at her psyche. The dialogue and the look into the past kept a firm grip on my attention, and the bookend story with Power Ring is gripping and entertaining stuff that offers another – and completely different – connection to the big event. DC Rebirth is right around the corner, but this is the DC story that you need to be reading right now. 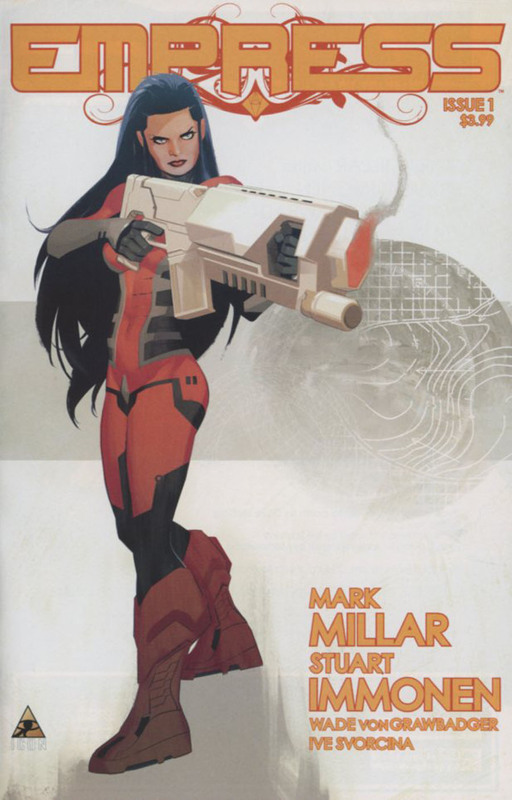 Get ready to explore Mark Millar and Stuart Immonen’s brand new sci-fi universe! Empress is off to an action-packed start, and it definitely feels like it’s going to be an epic and emotional adventure. Just enough information is provided for the main characters involved, and the story wastes no time at all throwing you right into plenty of thrilling chaos. So far, it’s one heck of a ride and looking at this society’s new designs and technology adds to the fun. Sci-fi fans, don’t miss out on this debut issue. Welcome to the most hilariously absurd comic you’ll read all weak. 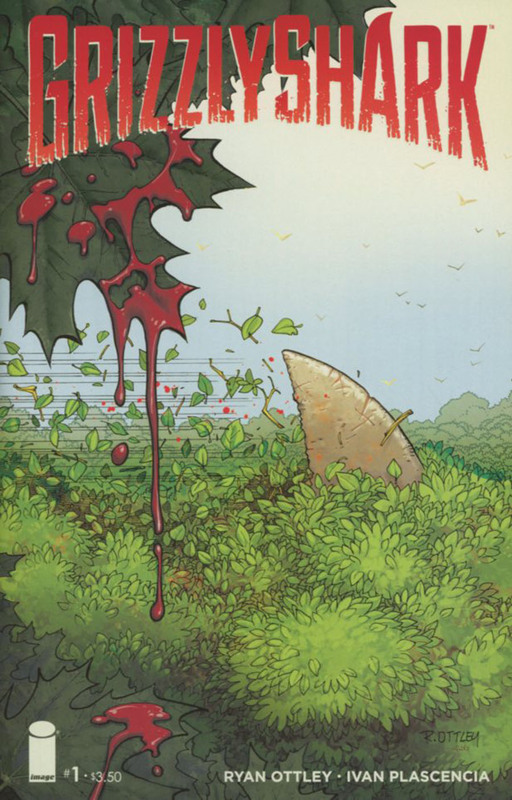 Ryan Ottley’s (Invincible) debut issue of GrizzlyShark – yes, GrizzlyShark – is non-stop, over-the-top, brutal comedy. It’s twisted, it’s hilarious, and it’s a total blast that never slows down or takes itself seriously. If you can laugh at some ridiculous and gruesome fun, you’re going to have such a great time with GrizzlyShark #1. Obviously, this one isn’t for the faint of heart. So, there was this little movie called Star Wars: The Force Awakens – apparently some people thought it wasn’t too shabby. 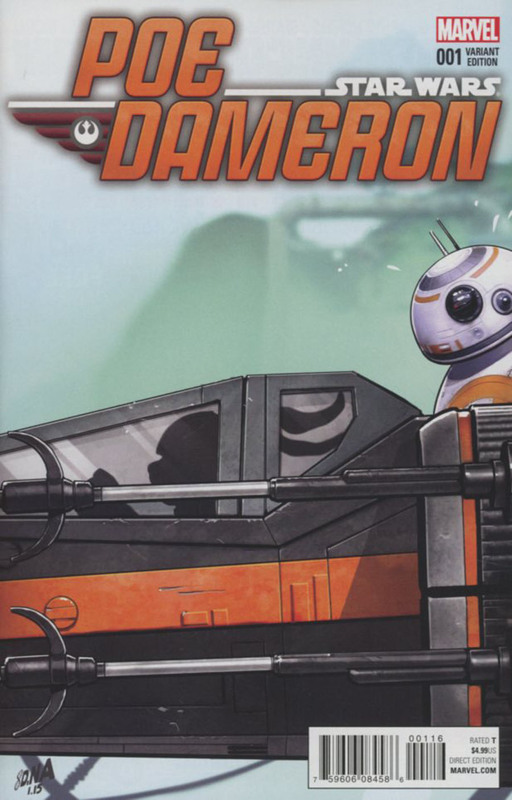 Now, Marvel is showing us what happened with actor Oscar Isaac’s character, Poe Dameron, before the movie’s very first scene. Oh, and the lovable BB-8 is along for the ride! The first chapter of the talented pilot’s adventure has exactly what you’d expect from it: danger, laughs, and intruige. If you’re one of the many people who loved The Force Awakens, this should be an obvious purchase – it really feels like an organic addition to the story. There’s an adorable extra story by Chris Eliopoulos and Jordie Bellaire, too. Well, that’s it for this week. Hopefully you’ll give one of these comics a shot and enjoy them just as much as we did. Which comics do you think people should check out this week? Give ’em some love in the comments!